An essential planning tool you can use for your next trip! 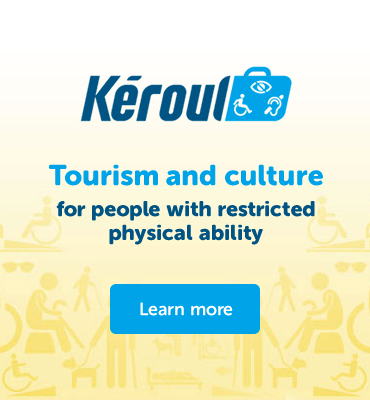 Québec for all is a database of over 1,700 tourism and cultural organizations and businesses assessed by Kéroul and certified fully or partially accessible, spread across 20 regions of Québec. Looking for an inspiring, authentic and accessible destination? You’ve come to the right place! Do you have physical limitations? Do you like to have fun, tour and travel? Looking for an inspiring, authentic and accessible destination? Well then: pack your bags and bring your loved ones along! Québec has put a great deal of effort into making tourist sites and services accessible to visitors with special needs. The province may be vast, but that’s no reason for its numerous natural and cultural attractions to be off limits to someone with a disability. You’ve come to the right place! Québec has over 1.6 million km2 (617,763 sq. mi.) of landscapes, each more captivating than the last. Attractions and activities abound, enchanting and enthralling visitors as they get acquainted with la belle province.